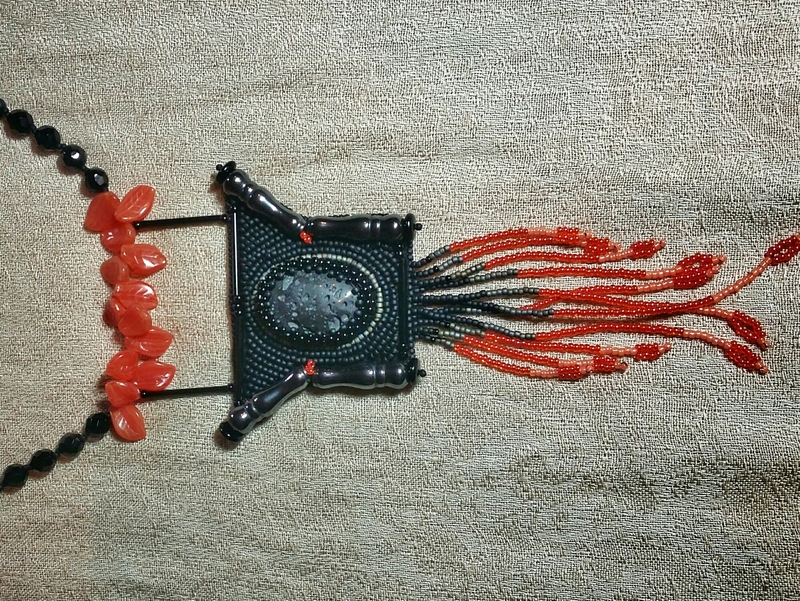 to my local bead shop, I found a lava stone cabochon and some hematite column shaped beads. I wanted the columns to look like they were toppling, but not be too literal. The fire at the top and orange beads at the bottom serve as splashes of lava. The focal is created with bead embroidery. 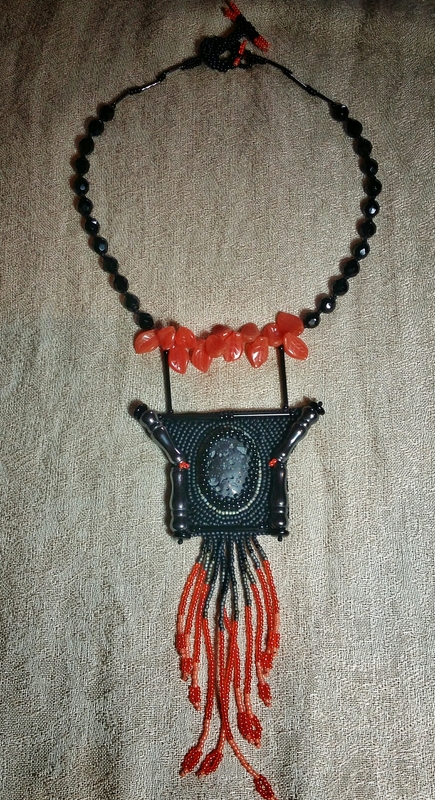 The toggle clasp is hand beaded. Voting for the challenge should be between April 9-16. I’ll post a link then.